My nokai xlHel can't open messanger. I love the word features of this phone however my calls are now being constantly cut off and whilst on whatsapp calls there are some very unbearable noises in the background which makes communication impossible. smbg, 28 Mar 2015I really enjoy using Nokia XL... an awesome phone. However, there are some serious disadvantag... moreI totally agree. Its a good phone and reasonably priced too. 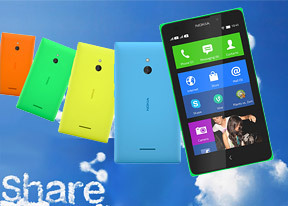 i want to change software into another mobile software because in my nokia xl does not available in update version. PLEASE HELP TO CHANGE THE SOFTWARE! Hi, I discovered since when I bought my Nokia XL its Micro SD is not functioning, even I bought another Micro SD still not functioning what should I do? In my opinion this phone is the most rubbish phone in world,nothing can"t support in this phone,most of the apps does not support,like hdfc bank chillr ,altime it shows chillr has stopped in time of installation.so plz help how it possible for using friendly hdfc chillr aps.